The PSD to Magento conversion might be one of the most difficult existing conversion processes. A fully-functional Magento webshop is often aimed too high for many developers. We therefore employ multi-year experience Magento developers which are continuously converting PSD to Magento designs. This multi-year experience will result into an everlasting high-quality, a super-fast delivery time and a sharp price. All Magento webshops are search engine optimized and are developed to be major browser, tablet and smartphone compatible. No matter which device is used we can guarantee an optimized conversion. Of course we will install all Magento webshops for free on your server. Why do we have the best PSD to Magento service? Our Magento developers dispose of a multi-year PSD to Magento conversion. No matter if you have the prospect of submitting a single project or multiple projects, we will always carefully listen to your desires and we will always keep on working to achieve your desired end result. Thanks to our extended opening hours we are capable of answering all of your questions and remarks within the blink of an eye. created to date, and still counting..
No matter where you reside, by choosing our PSD to Magento service you might rest assured all questions and/or remarks are answered super-fast. Thanks to our international experience and a list of global clients we know how to handle clients residing in different time zones. You will be the latest customer in a long list of satisfied clients. We are proud to present you a PSD to Magento service which excels in high-quality webshops which are secure for you and your visitors and which are fast-loading. We can guarantee these aspects because our developers manually convert all PSD to Magento conversions. We start with a blank page and build up your whole project from scratch. Our very reliable and hand-made Magento service surpasses the competition. This manual work ensures a perfect display of your website in all browsers and on all tablets and smartphones. Besides we realize a code optimization to ensure an increased high rank probability in various search engines. The actual Magento webshop conversion is no easy task. A multi-year experience is required to realize a PSD to Magento project and to ensure a high-quality delivery. A lack of experience or a challenging deadline might be disastrous when trying to realize your PSD to Magento conversion yourself. As a developer you might therefore experience a lot of avoidable stress situations which will work out badly for the rest of the process. Similar web design conversion stress might be avoided by appealing to our company to realize your PSD to Magento projects. High-quality at a sharp price and a deadline which is always met… look no further. All PSD to Magento webshops are delivered in compliance with the below standards. These standards ensure a high-quality Magento webshop delivery and a perfect webshop display for all of your visitors. Your Magento webshop will be displayed properly in all modern browers providing all visitors a perfect display of your website. Because our developers realize an HTML and CSS W3C validity, computers, laptops, tablets and smartphones will always be able to properly read the code. With our written codes which have been search engine on-site optimized a high search engine rank speaks for itself. As well search engines as visitors will highly value a fast loading website. We therefore feel very strongly about your website’s speed optimization. Fairly simple and intermediate jQuery animations like sliders and tab pages are implemented completely free of charge. Not all fonts are modern browser supported. Nevertheless, we implement all of your fonts for free by means of @font-face. 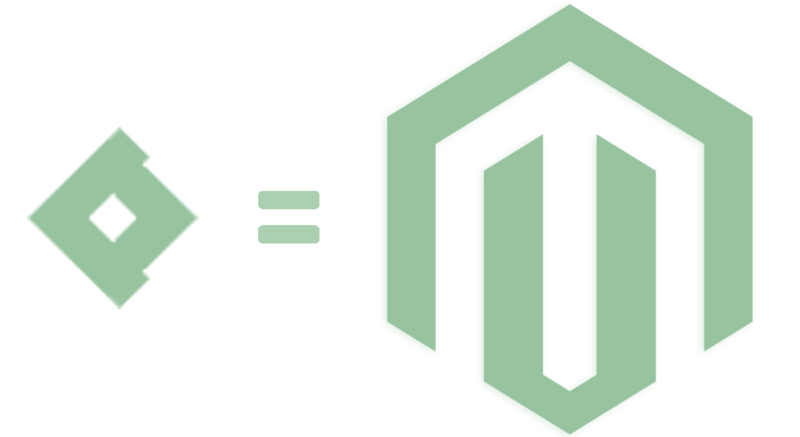 Let us take away your worries and start your first PSD to Magento project by clicking the button alongside. No matter if you want to submit a single project or a wide variety of projects, our Magento developers are ready to rock. Requesting a free quote without any further obligations is of course no problem at all. Your questions, feedback and remarks are always welcome. We dispose of a support team which is at your service 16 hours a day. Thank you! Hope to see you again soon.